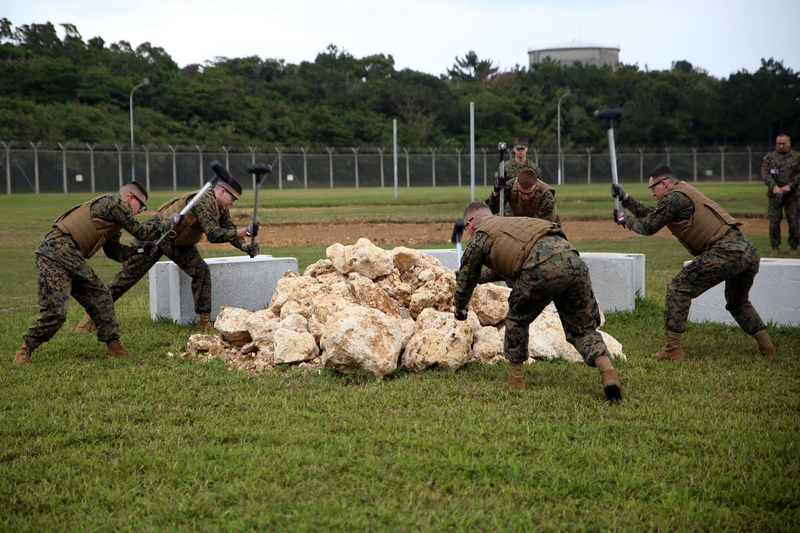 Senior Marine Corps officials have delayed the opening of a controversial correctional unit on Okinawa, Japan, where Marines who get in trouble will do hard labor, including breaking rocks with sledgehammers. The new Correctional Custody Unit, or CCU, at Camp Hansen, Okinawa, was initially scheduled to open its doors Feb. 14. But plans changed and the opening was pushed back until May 2, according to officials at Marine Corps Installations Pacific. It’s been several years since the Corps last operated a CCU, which invokes images of a menial labor camp with Marines sweating in the hot sun and pounding rock piles into small pieces — a characterization military officials have told Marine Corps Times is inaccurate. 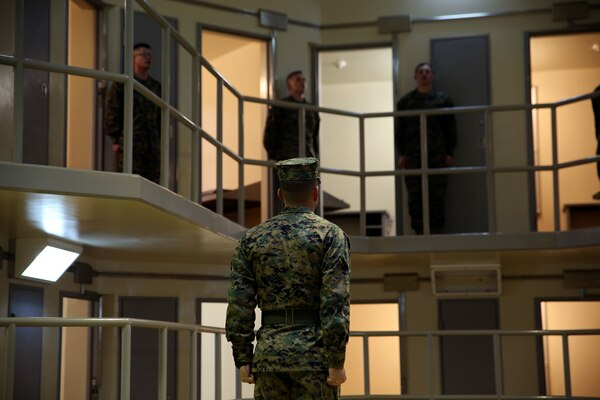 Marine officials say the purpose of the CCU is to help rehabilitate junior Marines who would otherwise be separated from the service for relatively minor offenses. It’s also a tool for commanders to hold onto personnel who still may be valuable to the Corps with slight adjustments to attitude and behavioral problems. “This will provide an opportunity for good Marines to recover from a slight misstep, as well as return to the ranks free of stigma with an opportunity for redemption,” Chief Warrant Officer Brian Sheppard, the brig commanding officer at Camp Butler, Japan, said in a command release. To be assigned to the unit Marines must receive a nonjudicial punishment under Article 15 of the Uniform Code of Military Justice from their command. Marines attending the CCU are then known as awardees. While the Corps doesn’t like to refer to the CCU as a hard labor camp, Marines at the correctional unit will still “conduct combat conditioning, physical training and field training exercises,” Marine officials said. The Corps has been vague on what kinds of activities will include combat conditioning and physical training. But images posted by Marine officials in a command release in January show Marines breaking piles of rocks when the Corps conducted a simulation of the new CCU. It may elicit a negative connotation of old-fashioned prison chain gangs. But Marine Corps officials say the hard physical conditioning, while a tool for punishment, is also used to build camaraderie, unit cohesion and foster leadership traits. Moreover, hard labor is a small part of the curriculum, Marine officials said. “The primary effort of the program is dedicated to education, core values, and relapse prevention,” Marine Corps Installations Pacific told Marine Corps Times in an email. Awardees at the camp will be under constant supervision and will attend either a 30-day course or a seven-day course. Marines will also undertake community service activities and cleanups. “I hope commanders take an honest look at this alternative because I see this program has great potential to mitigate first term discharges,” said Sheppard.